Lia is currently not available to accept new requests. I am a very positive person and I grew up always being surrounded by animals (from dogs to cats etc.). 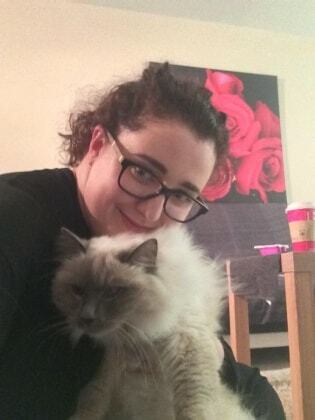 Besides having animals as a part of my family I started to look after friends' and other people's animals since I was 16 (so 6 years ago) and I loved it so much I carried on even when I moved from Italy to the UK. I do think that animals are a part of the family they live in, they need to be treated as such and be respected and loved, this is the reason why I love to give them all the attentions they need (from a long walk, to a good bath and a few treats). I am currently studying Criminology and Psychology at BCU and I am a very dedicated student, I always loved to read and why not, sometimes I do like to read out loud for an animal, after all, who says they can't understand us? I live in a flat in the city centre, near 3 big parks with dog areas as well as one open to anyone. I can walk dogs, brush and clean them, feed them and give them all the attention needed. If the animals are in need of medications I have no problem giving them those prescribed, as long as you show me the prescription, so i can be sure. Both cats and dogs would have their bed, food and water, and if you are used to give them treats i will do as well. The litter of the cats will be cleaned twice a day and changed every other day while you're away. I was very pleased with Lia's pet sitting, she treated my cat Peanut like her own while I was away and sent me photos and videos every time she visited her. She made sure she was fed and brushed every time and kept me well updated. I would definitely recommend her to whomever is looking for a pet sitter. I do understand animals' needs very easily before they start showing them with passion.